July 2012 was my maiden flight on Emirates Airlines. I have always dreamt of flying First Class on Emirates A380 and the wish came true in July 2012 when I visited the UK for the British Grand Prix. It was time again to fly First on the Emirates A380 to London Heathrow! A Brisk Check-in, Easy Immigration and Hassle-free security ensured a restful time in the Lounge before boarding commenced. Lunch and what an amazing meal it was! The Goodie Basket featuring Chocolates, Crisps, Gums, Mints! Post Lunch, I decided to take a stroll down to the Business Class Lounge at the back of the Business Class! What can I serve you sir? After spending sometime in the Lounge, I returned to my Suite to find my Bed ready. Time to relax before heading for a shower prior to landing at Heathrow! Fast Track ensured a quick completion of the arrival formalities and I had my ride waiting for me at Heathrow! 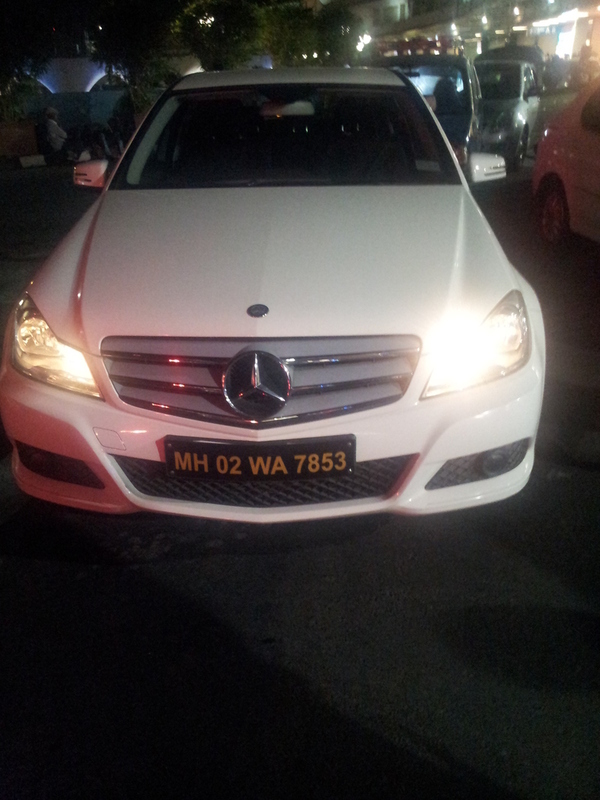 A Mercedes Benz S-Class courtesy of Emirates Airlines!! I always prefer late evening flights. There was a considerable amount of passenger traffic at Heathrow. However Fast Track made the experience a lot easier. Food, Food and More mouth-watering food!! Boarding commenced from the Lounge and it was a breeze! Shots from my Personal Suite!! Emirates offered us some amazing amenities! Gluttony isn't good and going to bed immediately after a meal is worse...but in an Emirates A380 First Class, all should be forgiven. As always, I was woken one hour before touchdown in Dubai to enjoy my Customary Shower On-board, an experience I can never get enough of! The Emirates First Class Lounge at Dubai International Airport ranks among the best and one can never get tired of visiting it over and over again! I made the most of my time at the Lounge - had a wholesome meal, got a massage & caught up on some sleep! Emirates Airline leaves no stone unturned in taking care of its guests and as a First Class Traveller, I was really pampered. It had been another memorable trip in the First Class Suites of the 777-300ER and the famous Emirates A380! I even earned promotion to the Silver Tier at the end of my First Leg of the Trip! The Extra Baggage allowance came in handy during the Return Leg! I want to thank Emirates for all the hospitality and care showered on me throughout the journey.. it was an experience that is still etched in my mind. Next up is my first "Business Class" Experience on-board Emirates ( Mumbai - Düsseldorf - Mumbai ) .. so watch this space. Go-Karting is a sport and an activity that Racing Fans love. It makes an average fan feel like a race car driver. Professionals would remember their Karting days. Their fathers would gift them karts enabling them to race in domestic and then continental championships en route to their dream of making it to the pedestal. I have always relished the prospect of getting behind the wheel and testing my skills. Karting opportunities are sparse in Mumbai and I couldn't resist the opportunity of getting behind the wheel during my holiday in London. Team-Sport UK offer some stunning tracks to race on and I visited two, one the Tower Bridge and the other at Edmonton. All are indoor tracks, so the threat of weather doesn't jeopardize your karting experience. This track offers electric karts which are faster than the petrol karts. 2 tracks of 400m spread over 2 levels can be joined ( weekends ) making it a humongous 800m with amazing gradient changes. The First turn is a left-hander going down and entry into the next turn is crucial which is a slow left going into a small uphill into a very slow right-hander. Carrying too much speed into the corner will cause oversteer and the backend will go away from you spoiling your entry and momentum uphill into the right-hander. A Short flat-out run leads into a hairpin and onto the section where you basically floor the throttle. The Final turn is a fast left-hander and the momentum can be carried into the first turn for the next lap. ( Based on the way I started in 4th in a dummy race ). This track is a real challenge and you need to have knowledge about racing lines in order to keep competitive lap times. Overtaking is extremely difficult and one must wait for mistakes to fancy a chance. Closing in on someone who is struggling is easy but passing them with ambitious maneuvers might backfire. The maximum slip-ups were seen in the 2nd left-hander as the track goes away from you and the gradient changes just compound your error. The Grip levels do increase and Lap times do come down as more rubber is laid on track. The Ambient temperature isn't affected by the weather outside which definitely is a boost for the drivers. I had Chris Ellis, a dear friend accompanying me. It was his first time out and in his words "I don't want to stop karting. Lets do it again." We visited the track on 12th December 2012 but the memories are very fresh. Well time for some photos!! First Session done, 4th - 28.062 sec. Chris - 7th - 28.570 sec. A Brief Break and we were back into our karts for the next session. Kart 37 for me and Kart 33 for Chris. This is exactly what I meant earlier. Its easy to close in on a slower car but overtaking on such a track is another story. I had to fend off another karter after a couple of laps. The Third Session was a grid start and thanks to Chris who tailgated me, I was relegated to 8th and last and had to work real hard to recover. Kart 36 for me and 40 for Chris. Mistakes by others helped me recover. Final Session, Kart 40 for me, Kart 36 for Chris ( basically we switched karts ) and I must say that I struggled with this kart. It could be that Chris drove the wheels of this kart in the previous session while I followed a more cautious approach in mine in the last session. I simply didn't have the grip going into corners and lost the backend a couple of times. It wasn't the best end to the Karting session. End of Session : ﻿Chris tops the Timesheets!!!! ﻿A Big Thank You to Sam Foster for obliging us with some great photos!! Extremely Gracious and Hospitable!! Day 2 : Edmonton, North London, 13th December 2012. ﻿The Metro Stations reminded me of the Premier League Clubs ﻿Arsenal and Tottenham Hotspur ﻿and the North London Derby! The track layout has changed a bit on the Team-Sport UK website. Some more corners have been added in the final sector. The Track doesn't have any gradient changes, is wider and allows karters with more overtaking opportunities. One can go flat-out for longer so the lap time is slightly less. The Track Temperature is lower than the one at Tower Bridge and the Ambient Temperature is quite cold. Holding onto the Steering can be a challenge. First Turn needs you to break at the right spot, it isn't a hairpin and can be termed as a double apex right-hander. The Karter can use a drifting technique and floor the throttle on the second apex. The Next turn is a left-hander where a wider approach gives you a better exit. The Next 2 right-handers can be negotiated without having to lift but braking into the third requires preciseness as it is almost like a hairpin. This right-hander leads into a left-hander where getting a good exit again is absolutely important as the next two right-handers again are flat-out. A Bad Exit would leave you sliding and searching for grip as there is only one line coming out of that turn. Its very easy to close in on the karter in front in this section and then attack him going into the final 2 turns and onto the start-finish straight. The Strategy worked exceptionally well for me. The First Turn too is a great place to overtake by early breaking and taking the inside line. ﻿Chris ﻿topped the timesheet and I finished a close 2nd. I just loved the 2 days of ﻿Go-Karting!! ﻿I can't wait to return to London and do it all over again. I hope I get to do some Karting in Germany in July!! 2012 F1 Season Review - Similarities in the Varieties! 2011 was a season of Dominance. Sebastien Vettel & Red Bull simply pulled away from the Competition. The rest were left battling to be the " Best amongst the Rest ". 2012 though had Big Surprises in store. The return of Kimi Raikkonen to Lotus F1 Team was one such Surprise. His Return ensured that I would follow the sport with renewed vigour. 2012 also took the accolades of being the longest season in F1 History and the only season which featured 6 World Champions - Vettel, Button, Hamilton, Alonso, Raikkonen and Schumacher. Many Predicted that status quo would be maintained but it turned out to be otherwise. 7 different winners won the first 7 Grand Prix! - Another Record!! Button, Alonso, Rosberg, Vettel, Maldonado, Webber, Hamilton stood on the top step of the podium. Ferraris were expected to struggle and Alonso's Victory in Malaysia was simply down to smart strategy in changing weather conditions. Maldonado's victory for Williams at Catalunya & Roberg's for Mercedes at Shanghai too was a famous victory for both teams in a long long time. 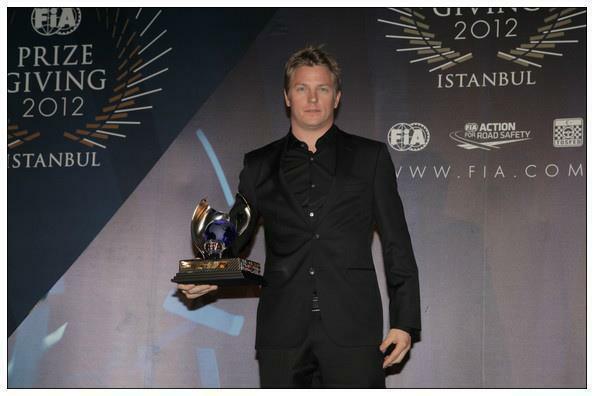 Lotus F1 too had a nice start with Kimi notching up 2 Podiums in his comeback year. The Biggest Disappointment though was for Red Bull who simply couldn't repeat their performances of last season. Ferrari had put all the disappointments of pre-season testing behind as they lead both the Drivers' and the Constructors' Championships. Mark Webber helped Red Bull to have a comeback of sorts after the Spanish Debacle with a victory at Silverstone and Vettel in 3rd. Alonso maintained consistency by finishing 2nd in Silverstone and notching up victory in Germany the week after Silverstone. Vettel's Efforts to impress in his home race fell short as he was demoted in the race result from 2nd to 5th for an illegal move on Button. Button and Raikkonen completed the Podium. Hungary saw the resurgence of Hamilton's Title Challenge with the Lotuses of Raikkonen and Grosjean completing the podium. Alonso's lead now stood at 40 points and the Spaniard seemed to be favourite to win the title. Belgium saw a Horrific First Lap incident where Romain Grosjean made contact with Lewis Hamilton and they both slammed into Fernando Alonso and Sergio Perez, eliminating all four on the spot. Vettel reduced the lead by 18 points by finishing 2nd. Button won the race with Raikkonen showcasing some daring moves to take 3rd. Hamilton's victory in Italy threw the title race wide open. Vettel's lowly 22nd left him in the lurch. Perez produced a special drive to finish 2nd and Alonso ensured that he kept scoring well by finishing 3rd. The European Leg ended and the rest of the races were all " Fly Away " Events. Singapore saw Hamilton's Retirement due to Gearbox Failure and Catapulted Vettel to victory. Hamilton was now out of the Title Race. Vettel was now in Title Contention. Alonso suffered another retirement after contact with Raikkonen on the First Lap and Vettel took advantage of the same to score a full 25 points. The championship fight became as close as it had been all season long. Massa and Kobayashi completed the podium with the latter overwhelmed by the Home Support, first podium for a Japanese Driver since Suzuki in 1990 ( At Suzuka ). Schumacher announced his retirement on the same weekend, this time he wouldn't return. The Tables turned in Korea. Vettel was now on a rampage as he wrestled back the lead from Alonso with a victory. Webber ensured a Red Bull 1-2 and Alonso ensured damage limitation in 3rd. The Next Stop - India!! Vettel was in no mood to slip-up and dominated the race to be a 2 Time winner at the Buddh International Circuit. Alonso Benefitted from a Failed KERS unit on Webber's Car to take 2nd while the Australian held off Hamilton to take the final spot on the podium. Abu Dhabi seemed to have changed the dynamics of the Title Race again. Sebastian Vettel's dominant run was derailed in Abu Dhabi when his car was found to have insufficient fuel after qualifying and he was subsequently moved to the back of the grid. Hamilton's March to Victory was again cut short due to a mechanical failure while Vettel kept moving up the grid, a couple of Safety Car Incidents helping his cause. KIMI RAIKKONEN the ICEMAN was leading the race. Lotus F1 went through a lot of tension and just wanted to ensure victory by ensuring everything was in perfect order. The Iceman though just asserted his authority on the team radio amusing one and all with two sentences that have become world famous. Kimi Raikkoen held off a closing Alonso to take a Famous Victory for the Lotus F1 team. 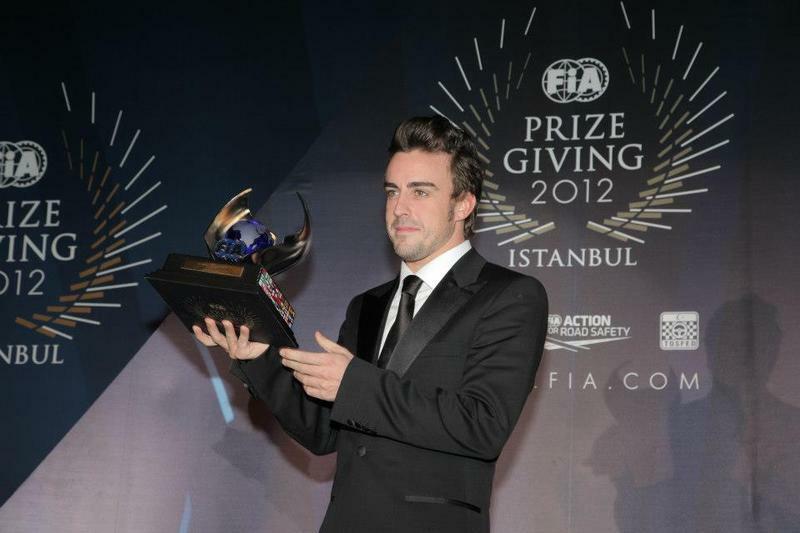 Fernando Alonso was 2nd and was shocked to see Sebastien Vettel sharing the podium with him! Alonso was only able to reduce Vettel's Lead by 3 points. Austin Texas saw United States of America make a return on the F1 Calendar. A Fantastic Circuit saw a fantastic race. Vettel was on the receiving end this time. He was held up by a backmarker with Hamilton closing in on him. Vettel as a result lost the lead to Hamilton. Hamilton took victory with Vettel and Alonso completing the podium. The Result meant that the Driver's Championship would go down to the wire, to the last race in Brazil. Red Bull clinched the Constructor's Title. Brazil would produce the last bit of drama. Sebastian Vettel was involved in a first-lap clash with Bruno Senna that damaged his exhaust and spun him around, relegating him to last place. Senna retired on the spot, as did Sergio Perez, who was caught in the crossfire. Changing Weather Conditions saw the race change lead multiple leads. Hulkenberg and Hamilton lead the field and a move by the former on the latter went awry to take Hamilton out of the race. Vettel slowly moved up the field, his car's damage slowly aggravating. His 7th then became 6th. A Paul Di Resta crash on the penultimate lap brought out the safety car. Alonso couldn't improve on his 2nd position as a result. Vettel had overcome all odds to win his 3rd consecutive Driver's title. Alonso was left contemplating as to what could have been. Three days after the Brazilian Grand Prix, reports began to surface suggesting that Sebastian Vettel's championship was under threat and that Ferrari would be filing a formal protest against the race results. The challenge centred on a pass Vettel made on Jean-Eric Vergne early in the race ( Under Yellow Light Condition ) The FIA cleared the confusion & both Ferrari and Red Bull Racing announced that they were satisfied with the ruling, thereby preserving Vettel's championship. Fernando Alonso and Kimi Raikkonen completed the top 3 in the Championship. Kimi Raikkonen was the sole driver to have finished every race in the season, finishing outside of the points only once in the season, setting a new record in the process. It was a great comeback year for the Finn.